ALPENA, Mich. — State troopers busted a man this week intending to distribute methamphetamine to several communities throughout northern Michigan. A routine traffic stop in Roscommon Township has led to the seizure of 52 grams of meth and a stolen handgun. 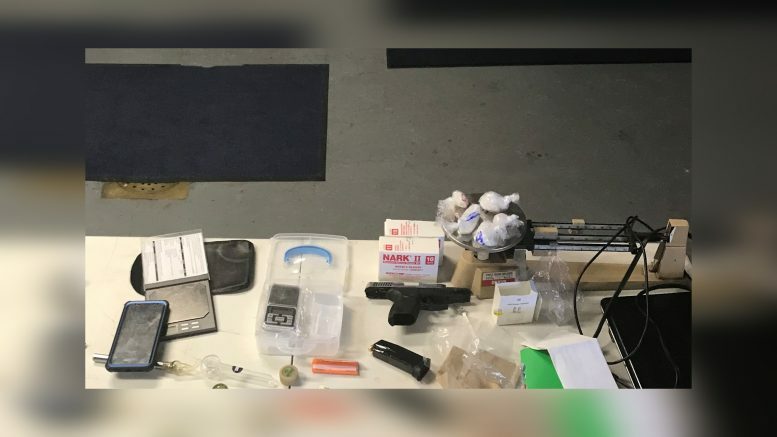 Troopers arrested the male driver from Houghton Lake on Sunday for possession of meth with intent to deliver, carrying a concealed weapon, possession of stolen property and use of a firearm during a felony. The 28–year–old could face serious criminal charges. The driver’s first court appearance is scheduled Feb. 7 at 82nd District Court in Roscommon. Official charges will be issued on that date.